One quarter elemental for napowrimo #17, something elemental. Some explanation might be in order here to make this less cryptic. 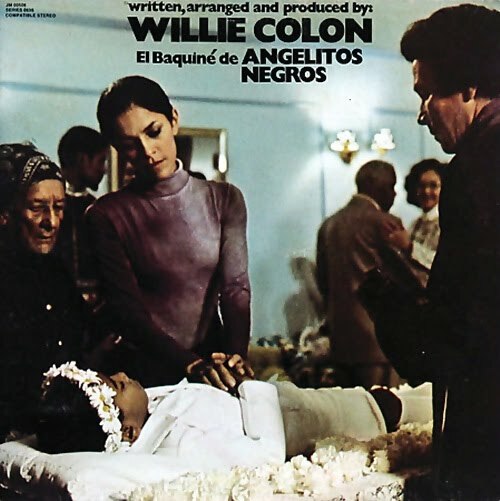 This poem came about some time after the purchase of El Baquiné de Angelitos Negros, a 1977 album by Willie Colón. The cover shows dancer Brunilda Ruiz, and I somehow wove her, salsa and the much older song by Eloy Blanco and Álvarez Maciste into this poem along with salsa queen Celia Cruz, transplanting the whole show to Paris and quoting a non-existent Frenchman to introduce it. Written for napowrimo #20, the hero poem. Another non-abstract RWP acronym-based poem. This time I took "radiant wall panels." See previous post for more details.